Training is a job responsibility of most convenience store managers, yet many may not be trained themselves on how to manage such an important assignment. New trainers can prepare themselves for success by avoiding these common mistakes. To effectively manage employee training, new trainers need to look at it from both a macro and a micro level. In the big picture, training goals should be tied to overall company objectives. At a micro level, training goals should focus on employees’ customized career paths. For example, think about your convenience store tobacco sales training. Your macro goal is to have everyone comply with tobacco laws by ensuring employees know how to card customers and spot fake IDs. On a micro level, a new employee must complete your tobacco sales training program before they can work the register, so it must be carefully scheduled with the rest of their onboarding process. Some new trainers may be skilled mentors and on-the-job coaches, but not completely sold on the value of online learning. They may brush off some of the requirements of online learning management, such as scheduling, tracking, and reporting. This is problematic for the company in many ways. The investment made in a learning management system (LMS) is not being put to good use. Also, without adequate tracking, employees may be failing to meet important compliance milestones which can lead to costly mistakes that affect the company’s bottom line. While some new trainers may not use a learning management system to its full potential, others may rely on online training too much. Successful employee training requires a balance of online training, on-the-job training, and ongoing mentoring. Training is an ongoing process, not a single event. All training requires follow up to ensure that it is being implemented correctly. 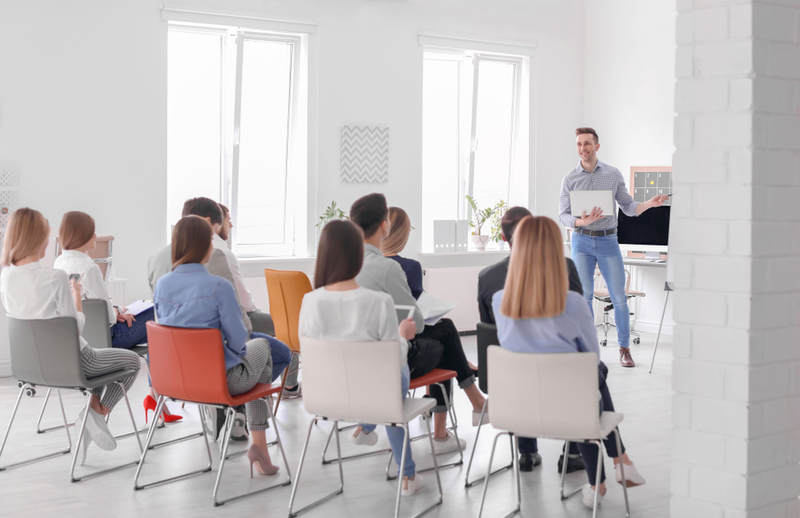 New trainers should ask employees for specific feedback about the training as way to both improve the process and recognize any learning gaps.